In Church Metrics, all categories are grouped by week in relation to Sunday. When recording data for weekday services you may add that data to the current week or to an upcoming week. 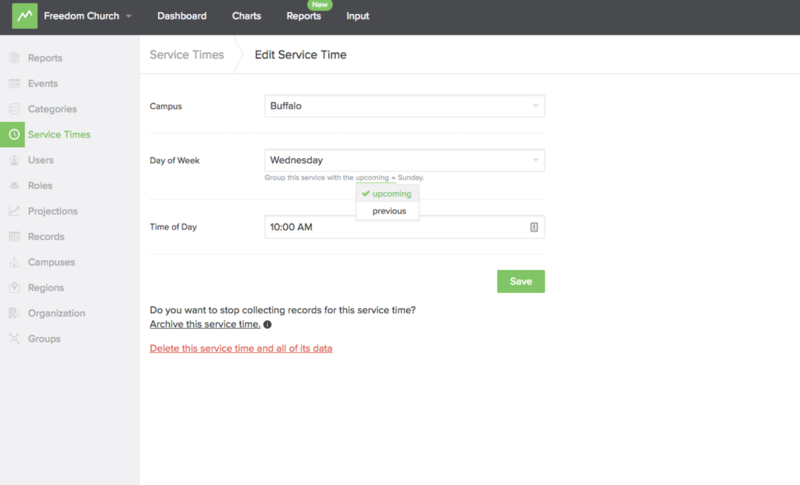 By default, Church Metrics will associate your weekday services with the Sunday that is coming up. For example, if you create a Wednesday service by default it will be the first day of the week and tied to the Sunday that is coming up. Click "Change" on the service time you want to update. Select the correct correlation "Upcoming" or "Previous"